It’s no surprise we attract some of the most stylish individuals into our salon. And finally with our blog, we’re able to flaunt it with the first edition of our #StreetStyle posts. We’re known for delivering the best haircuts, styles and colour in Melbourne, possibly the whole of Australia. It’s no surprise then we also attract some of the most stylish individuals into our salon. And finally with our blog, we’re able to flaunt it with the first edition of our #StreetStyle posts! 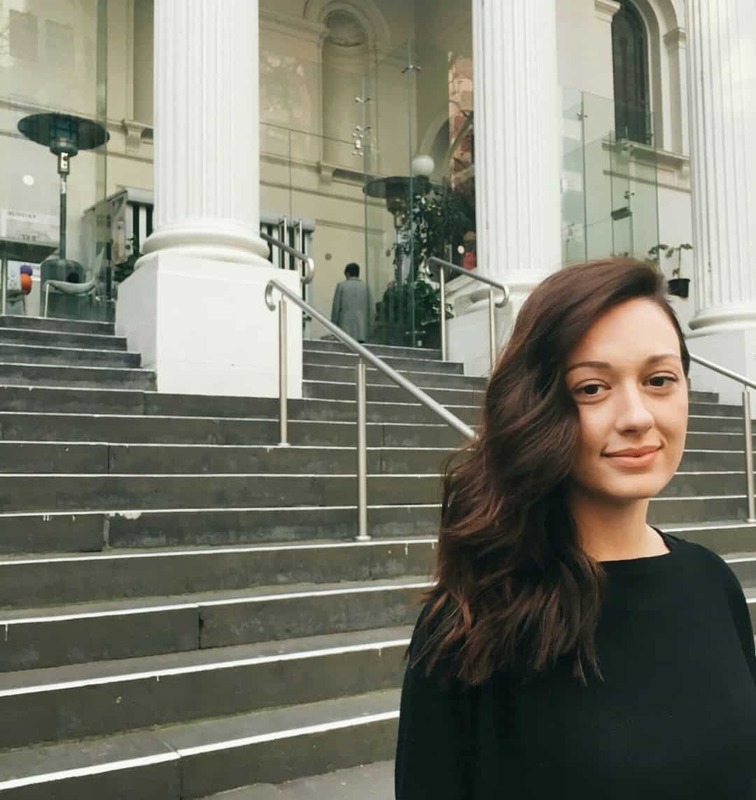 Kicking off our first post is Georgia Jadon who flew into Melbourne from Adelaide to attend a wedding. She was staying at The Park Hyatt and was recommended by the concierge to come see us to get her hair set for the wedding. As soon as Georgia walked into the salon with her Alessandro Michele’s Gucci Marmont GG handbag, ripped jeans and tan leather boots, paired with a black slouchy longline sweater, we knew she was the face for our first #streetstyle post. She exuded relaxed style that was very Melbourne. But back to her hair, Georgia was served by Colleen on that Saturday. The soft spoken Georgia came prepared, she even showed Colleen a picture of the dress that she was going to wear for the wedding that night. Through Colleen’s consultation, Georgia decided to drop the bun she originally wanted and go with Colleen’s recommendation, to let her hair down with soft, lovely waves in her hair, as a contrast to the slim silhouette provided by the elegant, figure hugging dress she’s chosen to wear. During the 45 minute session with Georgia, Colleen applied her trusted tools, her Shu Uemura Volume Maker Brush aka Invisible Texturizing Powder for the right texture and required hold without the feeling of stickiness. Always with the token mist of hairspray, Colleen achieved a natural appearance to Georgia’s hair. She also applied the Shu Uemura Touch of Essence Absolue with camellia oil, to help nourish and protect hair of all types, for that soft, subtle feel and gloss to Georgia’s hairdo. Wielding her GHD wand, Colleen also changed Georgia’s parting, thereby giving her hair an unexpected volume. Georgia never thought of swopping her natural parting, but we think she’s definitely warmed up to the idea now! All in all, it was an appointment that was a collaborative process between the client and the stylist. The end result is a clear success of communication and Colleen’s artistry in her hairdressing craft. Georgia left the salon all confident with hair done, so confident she allowed us to take these shots of her with her relaxed, carefree outfit, soaking in the heritage architecture along Collins Street where we’re located. We hope she enjoyed the wedding (and her hair by Colleen, or course!) as much as Melbourne and her visit to our salon. Looking forward to seeing you again when you’re next in Melbourne, Georgia!